Falling snowflakes always make me smile, but now, at the top of February, even I’ll admit that the snow on the roads is starting to get a bit annoying. Somehow, snow before Christmas always seems like a pleasant surprise, and snow after the New Year just seems to be a hindrance. Yes, I wish it was still December, too. 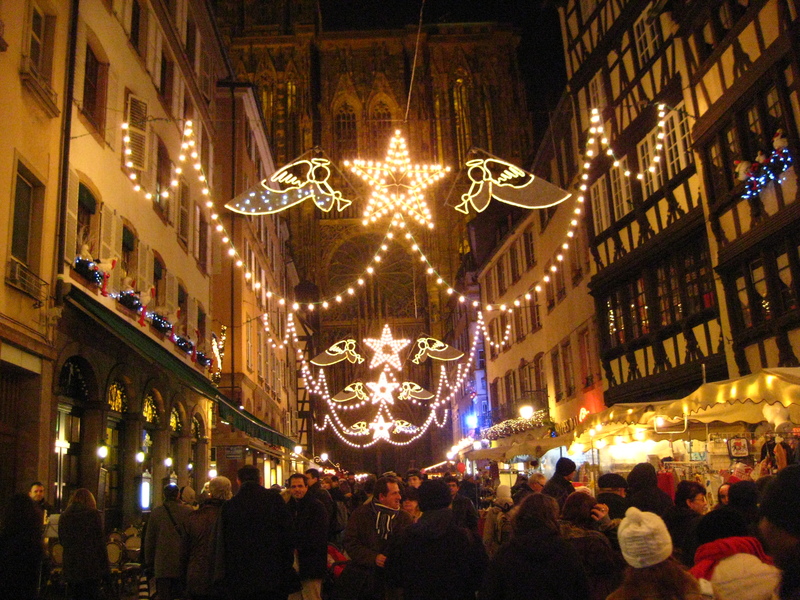 The self-titled ‘Capitale de Noël’, in the Alsace region just across the border from where I am, has a number of Christmas markets. 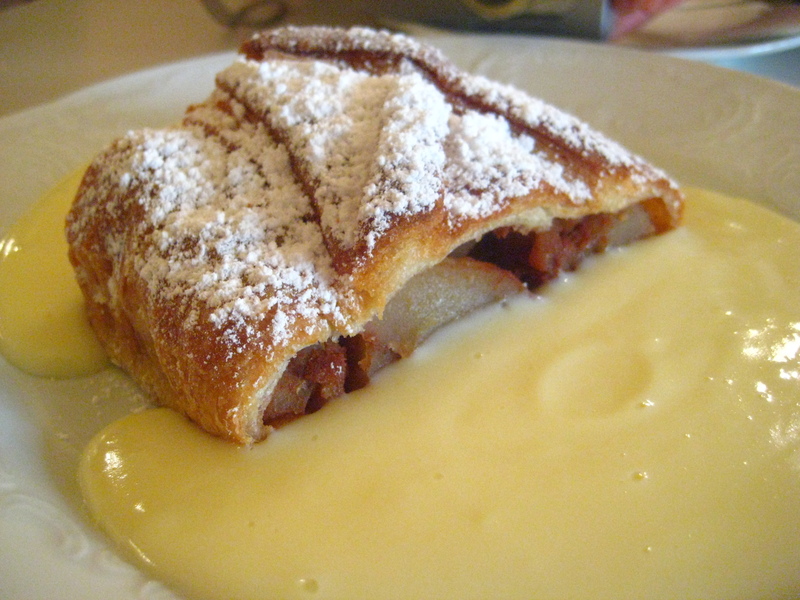 The nicest ones are at Place de la Cathédrale and the one at place Broglie (Christkindelsmärik). 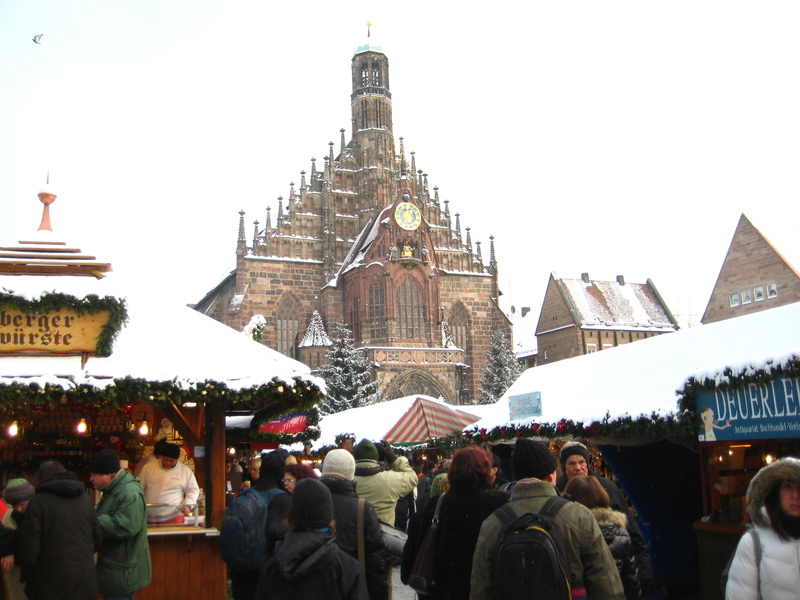 The one in front of the cathedral is especially breathtaking at night – the glow from the stalls, the smell of tarte flambée (deu: Flammkuchen), ‘Glüe Wein’, four-cheese baguettes, spiced apple cider, and freshly made crêpes. My friend Florian once said to me, “Rothenburg ob der Tauber? Yes, I know where that is. But why would you want to go there?! There’s nothing!” Well, Flo, perhaps you don’t understand their magic appeal on tourists like me 😉 Rothenburg fulfils every image I ever had of a quaint medieval Christmas – it’s that good. The market itself is a bit small, since there’s only so much space, but the setting makes it feel very traditional. Be sure to also stop by Käthe Wohlfahrt (Herrngasse 1) for Christmas, any time of the year. And stay away from Schneeballen – you’ve been warned. 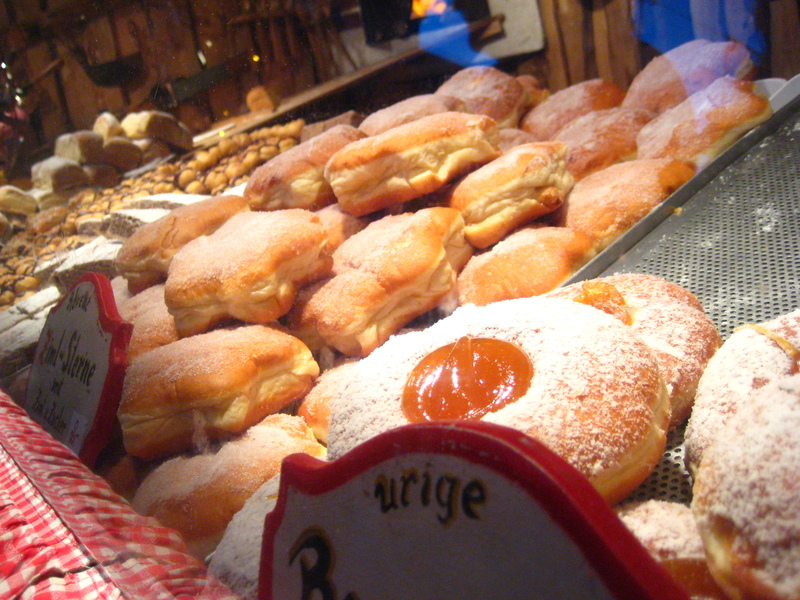 The most dominant feature of the Nürnburger Christkindlmarkt is the shear abundance of Lebkuchen, the most famous of which comes from Lebkuchen Schmidt (Plobenhofstrasse 6, am Hauptmarkt). Lebkuchen is a soft, gingerbready cross between cake and a cookie, with honey, nuts, and spices, but without those horrible green and red “fruit” pieces as in fruitcake. Nürnburger Lebkuchen is a Protected Designation of Origin, and is one of the first things that I buy during the Christmas season (I could polish off a 10-pack in two days). 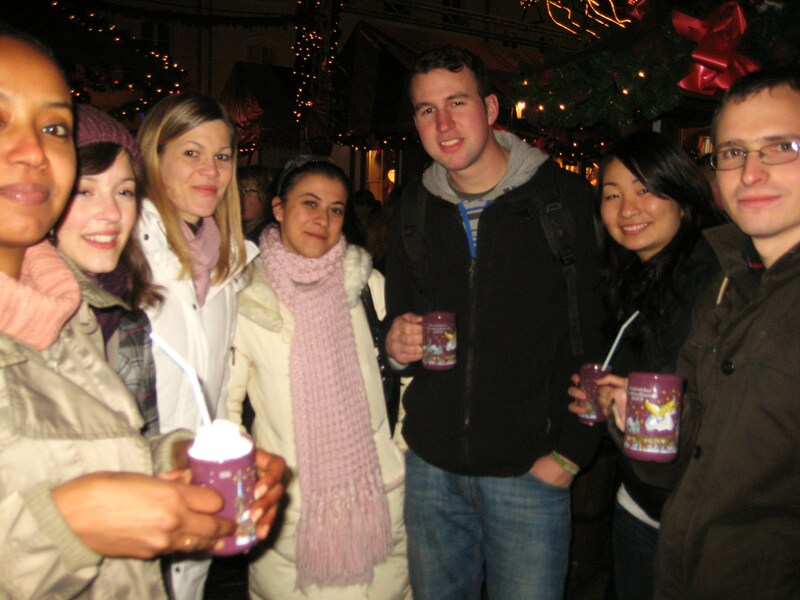 The heart of Bavaria features a sprawling Christkindlmarkt that runs down Neuhauserstrasse and Kaufingerstrasse to Marienplatz, the heart of the city. 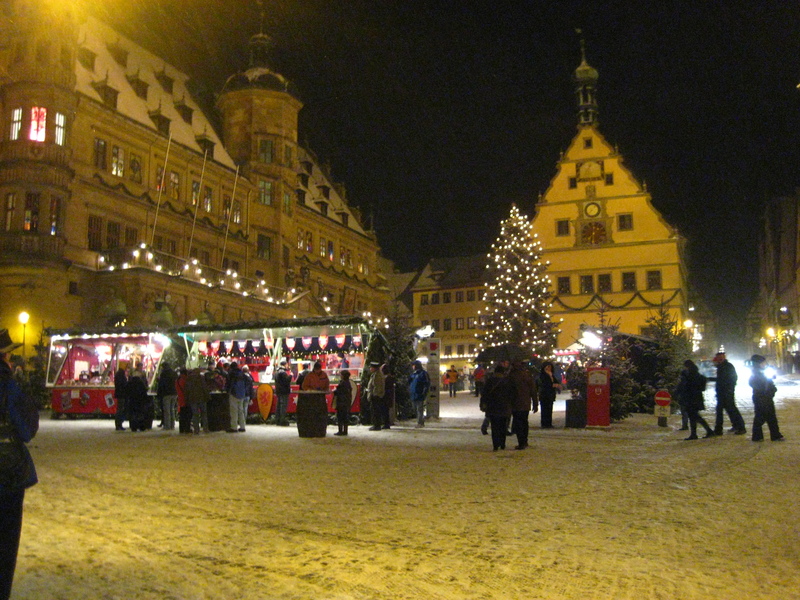 There, the market lies in front of the Rathaus, lively and filled with Glühwein and grill stands. I found that the Münchener market also had an unusual number of roasted nut stands…not that I’m complaining. There were toasted almonds of all sorts – normal sugar, Nutella, dark chocolate, cinnamon, even a special Christmas blend – and it served as my late-night snack on the overnight train to Rome. 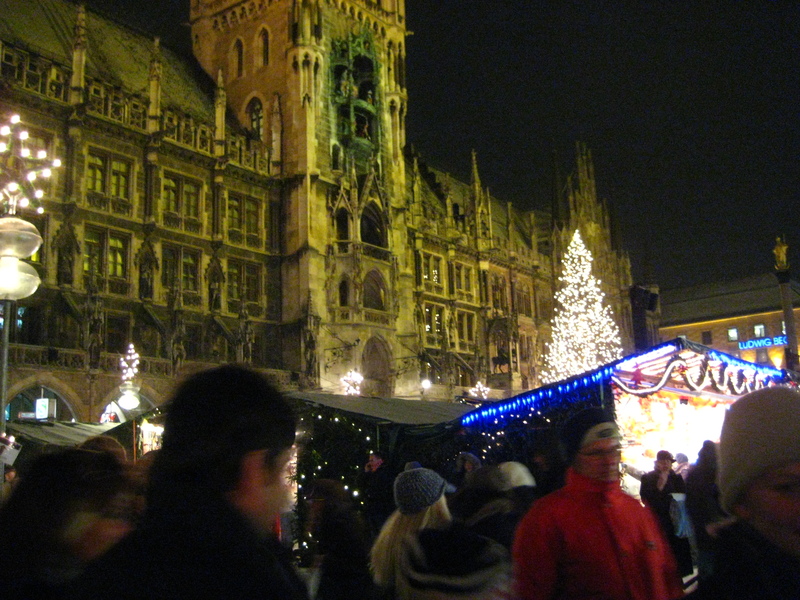 I experienced my first Germanic Christmas market here in 2007 with Candy, and I will never forget the taste of fresh Apfelkrapfen from the Weihnachtsmarkt in front of the Rathaus. I had the unfortunate experience of eating an ice cream cone filled with meringue dipped in chocolate (I can’t remember what it was called, but I didn’t know what it was at the time)…I wouldn’t recommend these. 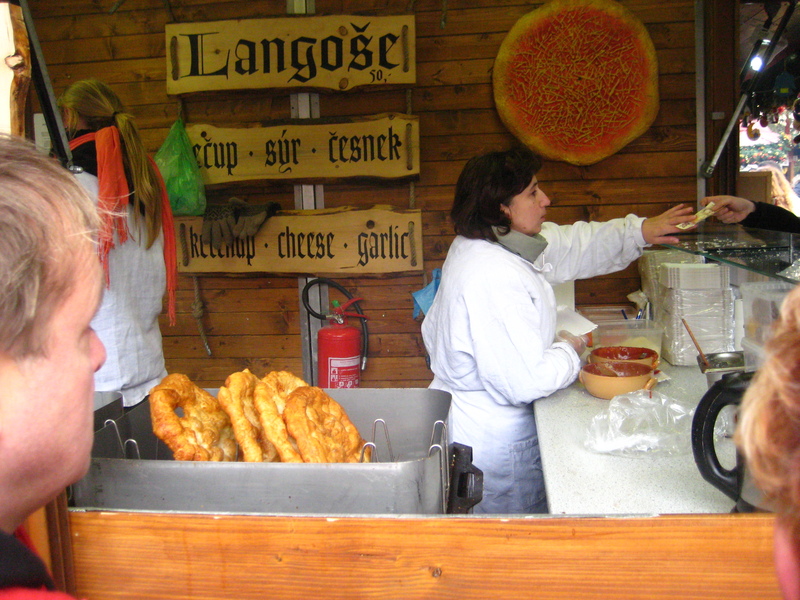 I WOULD recommend, however, you pick up a Käsekrainer at one of the many stands – it’s a delicious cheese sausage in a warm bun jacket filled with ketchup and mustard. They should put a Christmas market here, too - how wicked would that be? 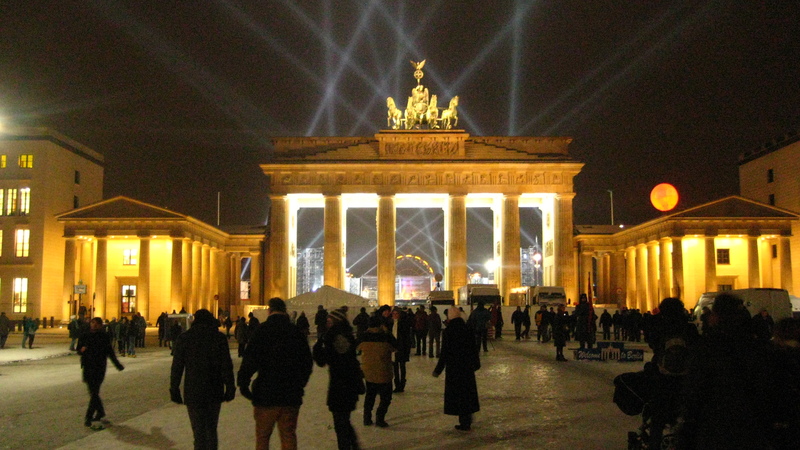 The Berliners sure do love their currywurst, so of course they sell it at the Christmas markets, too. In fact, they even have a machine that chops up the wurst into even pieces in about 2 seconds. They also have an outdoor skating rink at the one by Alexanderplatz. The Christmas market at the Gendarmenmarkt is really pretty, with a huge Christmas tree and all the tents topped with stars, but it’s 1€ admission. More to come in PhooD Adventures! Hello, I know it has been a while and I found your journal online, I am going to the Christmas Markets this year in December! first time thanks for your photos and tips! 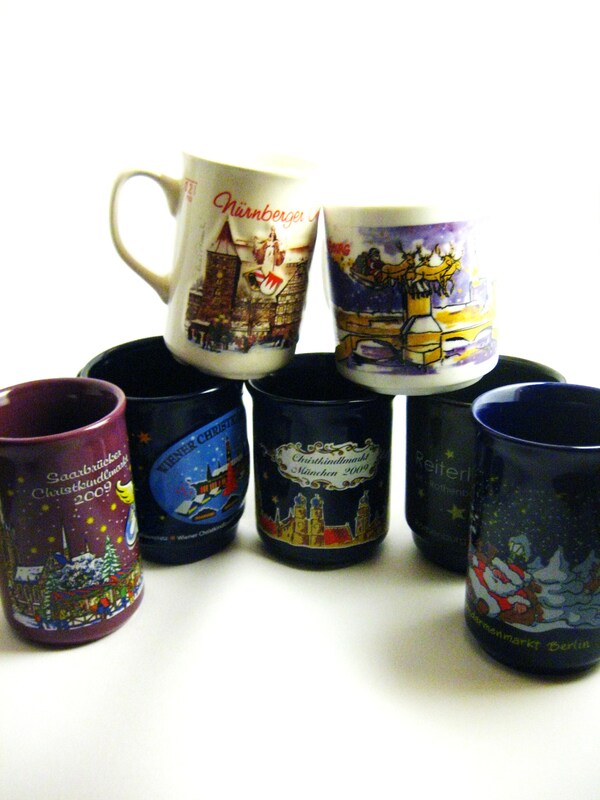 Now I can collect my Christmas Cups!